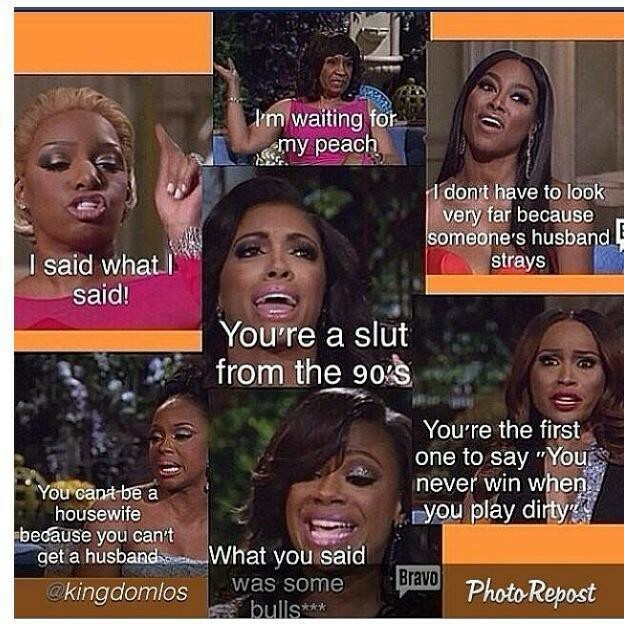 When the final installment of the Real Housewives of Atlanta reunion show aired last night on Bravo, TV viewers not only tuned in to watch, they were also logged on to social media to offer commentary on the show’s most drama-filled moments. From Apollo’s problems with the law to Todd’s battles with his new mother-in-law and all the cast members’ snappy one-liners, viewers have spent the season replaying every moment on the second screen. Each week, characters’ names and biting insults became trending topics on Twitter and Facebook, and Instagram was flooded with user-generated memes characterizing the show’s most provocative moments. The social media buzz around shows like Scandal and the Real Housewives of Atlanta proves that today’s viewers do more than just watch a television show: they become a part of it by interacting with other viewers, the cast and producers of those shows through social media. This practice, known as ‘Social Television’ or ‘Social TV,’ is an extension of the water-cooler discussions about memorable television moments like who shot J.R. or Johnny Carson’s emotional goodbye on The Tonight Show. Last year more than 36 million social TV users sent 990 million tweets, according to Nielsen. Technology and social media are reviving the old medium of television — and black viewers are leading these trends. Black audiences watch 37 percent more television than any other group and black Internet users use Twitter more actively than any other group. Black audiences’ higher engagement on social media has led to connected, creative and innovative conversations among viewers that previously were not possible. Almost every time a show with a black principal character or a predominantly black cast airs, it trends on social media. Shows including Scandal and Basketball Wives LA are often among Twitter’s trending topics and Nielsen Social’s top 10 social television shows. Black audiences’ wit and reaction to what they see on television has sparked a unique phenomenon we call BlackSocialTV — the practice of engaging on social media while watching shows with principal characters, cast members or shows that engage or are targeted toward black audiences. 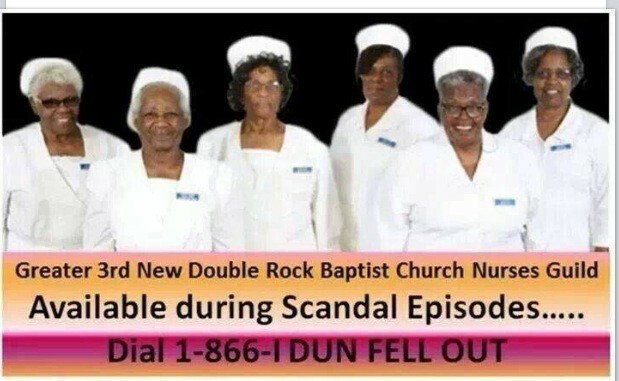 The BlackSocialTV audience draws on black cultural references and makes connections to black institutions, including the black church, to the shows they watch and the viewers who watch with them. 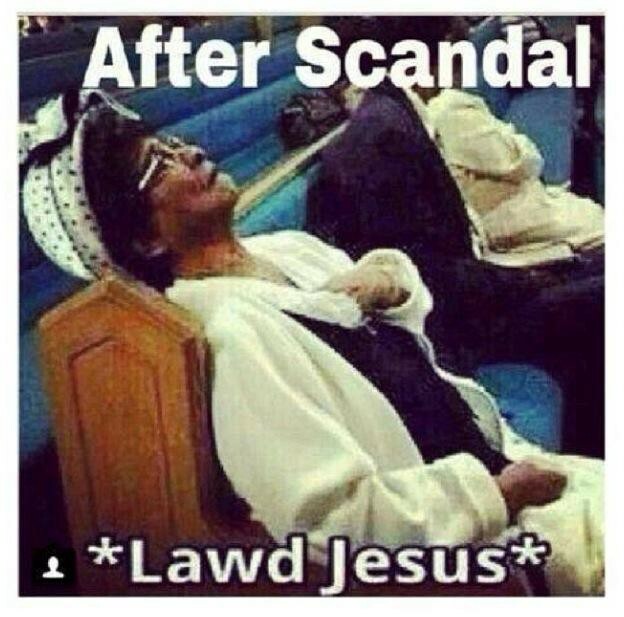 Scandal is among one of BlackSocialTV’s most beloved and engaged shows. Every week viewers tune in to see Washington’s character Olivia Pope and her fellow “gladiators in suits” fix the nation’s most controversial scandals. Almost as compelling as the show’s plot is the subsequent social media play-by-play that draws more than 12 million viewers and 700,000 tweets weekly, according to ABC. 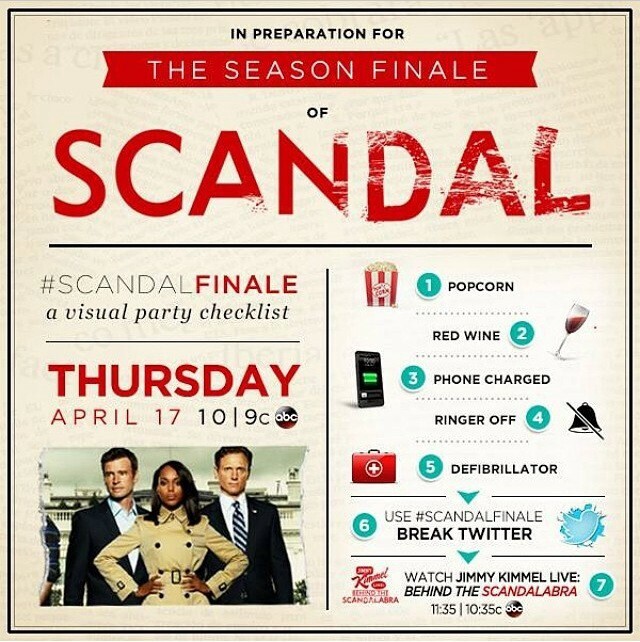 The weekly explosion of Twitter traffic drove ratings by signaling that this was not only a quality show to watch, but a phenomenon to be part of, promoting the LA Times to call it “Must-Tweet TV.” Washington, an active second-screen participant, describes Scandal as “event TV” — but it is precisely that active engagement by Washington and her Scandal cast and crew mates that makes it an event, with a real-time imperative. This is exactly the sentiment networks, producers and actors want viewers to have, and why the social media success of Scandal and other shows with black audiences has captured the attention of networks and advertisers, giving credence to the power of black audiences and the influence of social media. 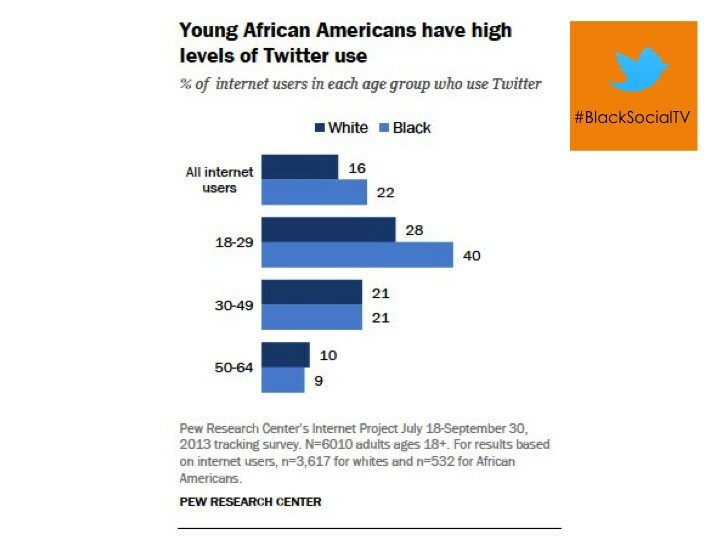 The age demographics of this audience are also highly attractive to networks and advertisers , with young African American viewers actively engaging on Twitter and other social platforms. Young viewers remain the Holy Grail of television, particularly as they are more and more likely to time-shift their media intake and consume it from other sources. The engagement of young viewers in Black Social TV is yet another way in which social media is proving a valuable and influential boon to TV networks. The Real Housewives of Atlanta exists firmly within the event-TV mold, breaking ratings records from its first season regularly and reliably. (In a press release dated Dec. 15, 2008, the network touted “live wireless chats, daily blogs and additional footage online” as drivers of engagement; this was well before Twitter went mainstream and almost two years before Instagram had even launched.) Reunion shows especially are hotbeds for social media engagement. The first installment of the Real Housewives of Atlanta reunion show — which included a brawl between two cast members — was the highest-rated reunion among all reunion shows on the network with 4.1 million viewers. Last week, the second reunion show was the number-one social television show during the hour it aired. 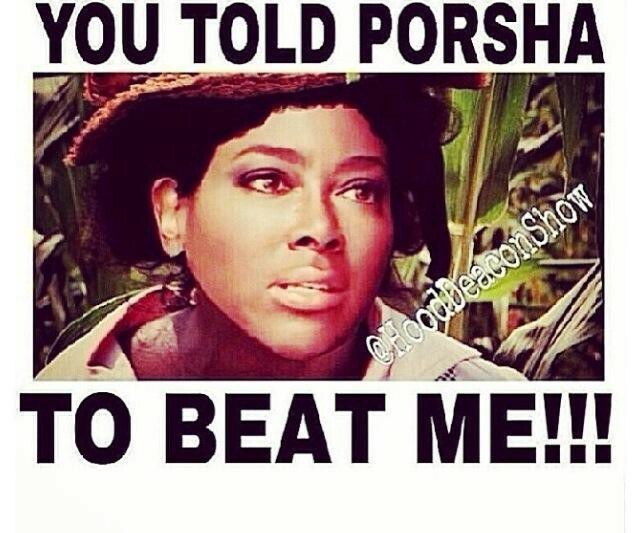 The episode also generated seven trending topics on Twitter including the phrase “Poor Kandi,” in reference to viewers’ feelings about housewife Kandi Burruss’ mother meddling in her relationship. 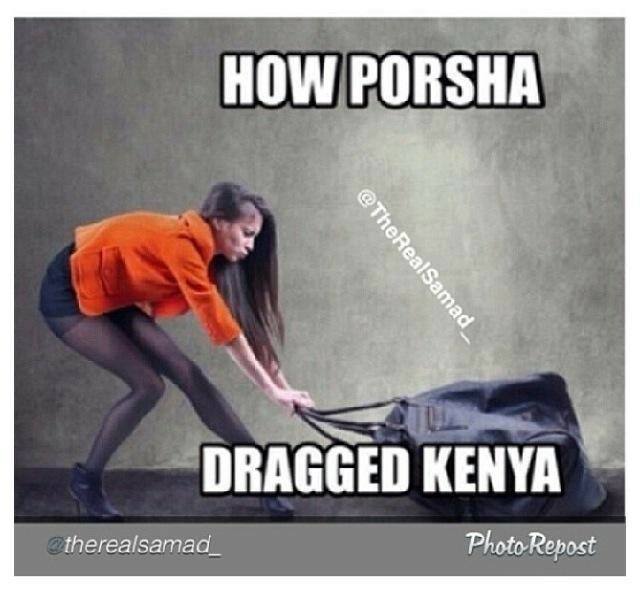 #GoodnightKenya also trended after a cast member dismissed housewife Kenya Moore’s comments. The BlackSocialTV audience is as creative and clever as the shows they watch and the content they create about television programs is often more entertaining than the programs. One of the best parts about watching a television show during its first run is watching viewers’ reactions on social media during the broadcast. The memes, videos and hashtags viewers create in real time in response to television shows reveal a lot about how the audience interprets what they do and don’t see when they watch television shows with African-Americans as central characters. 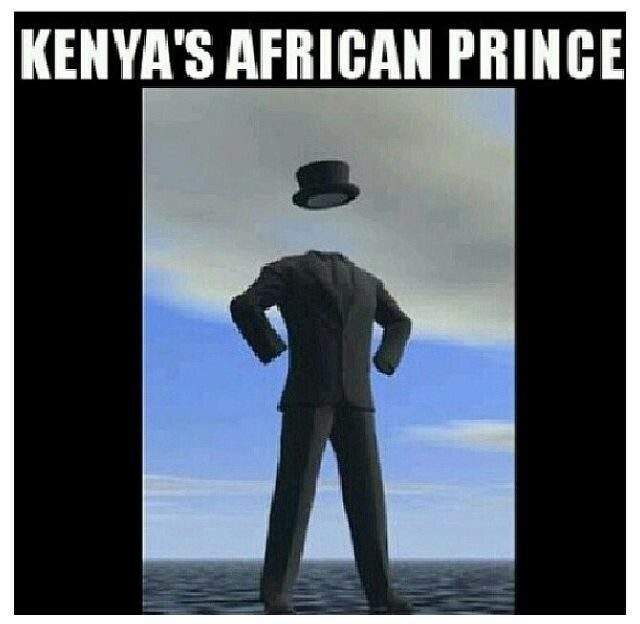 Some of the memes mock reality show cast members, such as this one viewers created about Real Housewives of Atlanta’s Kenya Moore’s African boyfriend, who was never seen on camera. Sometimes the BlackSocialTV audience members rework the shows and present a comedic remix of episodes such as Kev on Stage’s Scandal cartoons, which are viewed by thousands on YouTube. Others, such as Funky Dineva, create widely viewed video reviews of black reality television shows such as this one of the season two premiere of Bravo’s Married to Medicine. 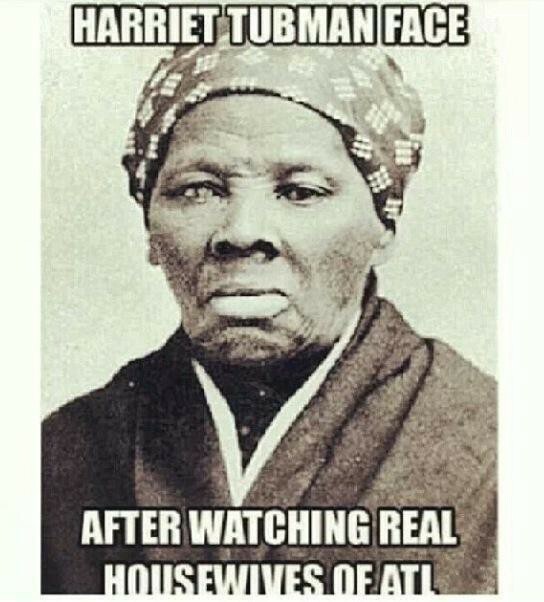 But some of those memes and videos repeat the stereotypes of black women seen on the television screen and transfer them to computer screens through social media. Television images of women of color, especially black women, are still mired in historic, distorted, gendered and racial stereotypes that are unfortunately common across networks. We still see the hyper-sexual jezebel whose sexuality is out of control, the enraged sapphire who is always angry and violent, the asexual and large mammy who dotes on everyone except herself, the welfare mother who is an updated version of the slavery-era breeder and the lady who is hardworking, accomplished and middle class yet still is incapable of love. Even Kerry Washington’s Olivia Pope has come in for criticism for being the mistress of a married man (even if he is the President of the United States)—Washington pushed back “side piece” being ascribed to her character, disavowing a term that treated women as objects and noting that the plot line had more nuance than the term implied. Even so, the point has been made that both Pope and the title character in BET’s Being Mary Jane are competent career women in charge of their own lives, yet who still occupy the so-called “mistress” role on the side. Still, despite the arguably more nuanced portrayal of leading black female characters on shows like Scandal and Being Mary Jane, stereotypes of black women persist and indeed permeate every genre of American television — especially reality television, which thrives off of portrayals that are neither complicated nor complex. Reality television is the genre that viewers are most likely to post updates about on social media while they watch television due to its real-time, unscripted nature. When viewers see these ancient and ugly stereotypes updated on reality television they post updates about them on social media. Damaging stereotypes of black women leap from the television screen and find a new home on social media, where they are revived, recycled, retweeted, and exposed to social media followers who don’t even watch the television shows but do see the posts. Black social TV also empowers viewers to directly communicate their dismay of stereotypical images of black people to television networks and producers. Those collective voices amplify the black community’s frustrations with images of screaming, weave-pulling, and cocktail-throwing black women that are so prominent on the television landscape. On Twitter, a number of viewers called out Bravo television executive Andy Cohen for his role in facilitating such images during last night’s Real Housewives of Atlanta reunion show. The practice of social television has enabled viewers to have creative conversations in ways they haven’t before. But BlackSocialTV viewers’ posts illustrate that even though television producers are paying attention to conversations on new social media platforms, their depictions of women of color are still stuck in the past. The practice of social television is a powerful force that is changing television in profound ways — and black audiences are leading the way. Black television viewers’ practices and use of technology are fueling changes that are revolutionizing television. Stay tuned. Sherri Williams (@SherriWrites) is a doctoral candidate at the S.I. Newhouse School of Public Communications and a freelance journalist. Lynessa Williams (@LynessaMarie) is an account coordinator for a social media marketing agency. 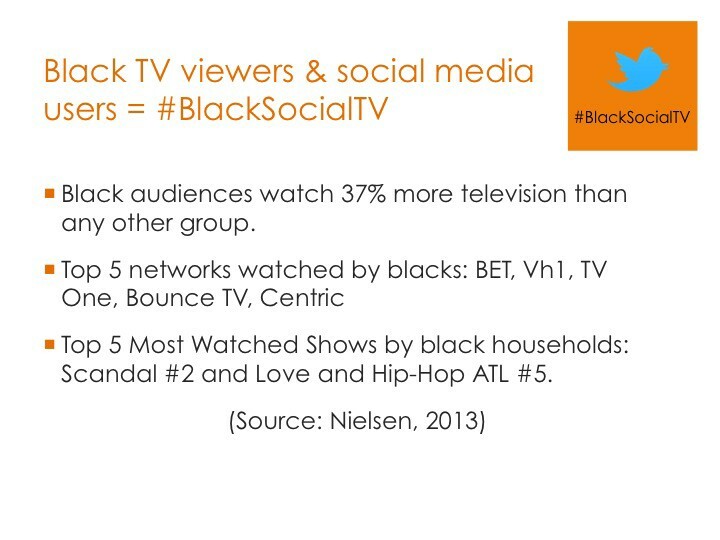 This piece is adapted from their presentation, “Black Social TV: How Programming, Viewers and Social Networks are Changing Television” at SXSW 2014. Banner image credit goldderby.com.